All modern browsers have multi-tab functionality which makes web browsing faster and convenient. But if we could do this in our Windows Explorer? There is a practical tool called “Clover” that lets you browse folders in the same window i.e. using multiple tabs. Clover integrates browser-like tabs to Windows Explorer seamlessly that puts together multitasking easier and efficient. You can “Open” tab, “Close” tab, or “Drag” tab in the tab bar with no trouble. The program installs quickly and completely ad-free. You can download themes from the built-in theme store. 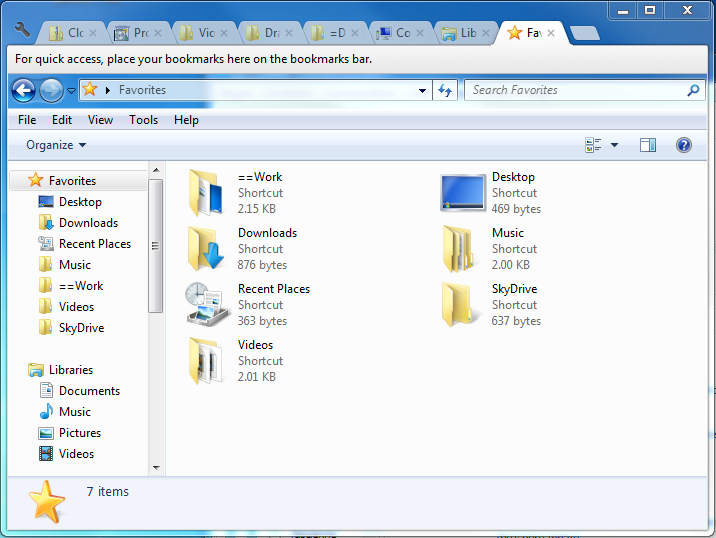 To make navigation smoother, the program allows you to put your most-frequently used folders in a bookmark bar. The latest version Clover 3.0 has accelerated the creation of new tab and improved color for UI elements and Tab strip in case of high contrast and black themes. Few bugs in Windows 8/8.1 are fixed such as IME candidate box, Preview Windows, and Ribbon, that are not shown in the previous version. Seamlessly integrates with your operating system which makes the file management operation easier. You can create a shortcut for certain webpage from the Clover interface, the same way you did from the regular Windows explorer. Finally, Clover proves to be an excellent choice for users who wish to increase their productivity in working with files. Clover take less system resources compared to complex file managers such as “Total Commander” or “EF Commander”.